Are you a romantic like me? I must confess, when I read The Song of Solomon, I am whisked away to a place that no Romance Novel could ever reproduce. Why? 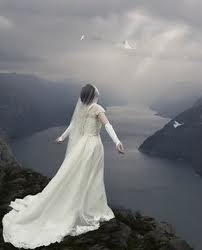 It is because Song of Songs is truth, The Truth. The Song of Solomon is a series of harmonious poems organized as a lengthy discourse between a young woman and her lover, sprinkled with a third party chorus. When I read this dialogue, I now know that I am the Shulamite and my Lord is comparing Himself to Solomon. I am not sure what the scholars say, but I am certain that this book was written to illustrate the love of Christ for His Bride, the church. If you look closely enough, you will find the original ‘Pilgrims Progress’ novel in this book. It’s important for you to know that just as this this poetic book was written for me, it was likewise written for you too! For we are One Body of believers in Christ. Only prostitutes would veil themselves as they followed the flocks of the shepherds and it appears that she wants nothing more of a life of sin. As she turns to The Good Shepherd and seeks His love, He eagerly welcomes her, but in a gentle, kind manner. 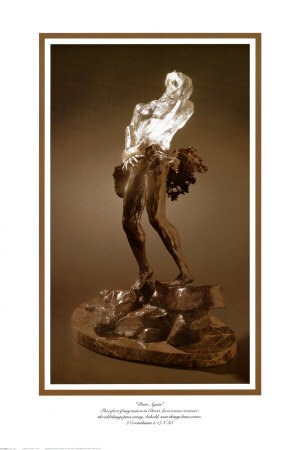 The first part of her journey is likened to one being born again. She has had a rough life; the world has made its mark, scarred her, and abused her. In spite of this, she hears the Good News and desires to be loved with such unconditional grace. She longs to be part of His flock and is totally enamored with Him. And Jesus is no doubt lovely and beloved by all that know Him. When we are born again, Jesus washes us clean and our Spirit-man is recreated into His prefect image, white as snow. Even though he has told her these things, it doesn’t take long for us to see what she really thinks about herself. Why is it, that she decides to focus on her ‘old man’ instead of who she is now by His grace? Solomon immediately corrects her, he tells her that compared to everyone else, she is ‘THE’ lily and everyone else is like thorns in His eyes. After we are born again, our main focus should be renewing our mind. I always tell my Sunday School students, BEFORE we are saved and born again, the Word acts as a mirror to show us we need a Savior. AFTER we are saved and born again, the Word acts as a mirror to show us who we are in Christ. I can tell you with certainty that it is very important to The Lord that His children understand who they are in Him. Our minds were programmed with ‘stinkin thinkin’ by the fallen world. It’s up to us that we reprogram our thinking to the mind of Christ and that our born again spirit and our mind would be one. Let me introduce my new favorite essential oil from Young Living Essential Oils: The Rose of Sharon (Cistus). 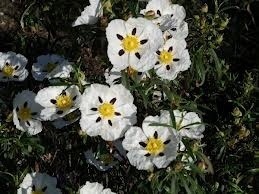 Cistus is also known as “rock rose” and has been studied for its effects on the regeneration of cells. Medically, it is antiviral, antibacterial, antihemorrhagic, anti-inflammatory, supports sympathetic nervous system, immune stimulant. My favorite medical use is that it helps people with auto-immune disorders. This oil contains monoterpenes, which helps to reprogram cells by working on the RNA and DNA. I am convinced that autoimmune disorders have a spiritual root of self-rejection. One cannot have a negative emotion apart from negative thoughts. We all know that our thoughts have an immediate impact on our health. For example, when we think frightful thoughts, our heart rate elevates, along with our blood pressure; some people even have to rush to the bathroom. The way you think about yourself does effect your health. So, if you are struggling with self-rejection and an auto-immune disorder like lupus, psoriasis, celiac disease, MS, arthritis, fibromyalgia, etc., perhaps you would consider renewing your mind to who you are in Christ (His beloved bride), as you anoint yourself with the Oil of Cistus, the Rose of Sharon. I think it’s wonderful that The Lord would use this flower (that the Shulamite seemed to think was so ordinary) to teach us the importance of reprogramming our minds? Even at the cellular level, this flower reprograms our DNA and RNA, teaching us that we are no ordinary wild flower, we are children of the Most High God, with incredible purpose and value. This entry was posted on February 8, 2013 by eaglenest5. It was filed under essential oils and was tagged with auto-immune disease, Cistus, Lily of the valley, Rose of Sharon, Song of Solomon, young living essential oils. What a beautiful depiction of God’s grace. Thank you for sending me the email. Such beauty, such love, such amazing grace in this post. Thank you for sharing! That was a wonderful reflection! I think the veil is our own sin. When we are in relationship with God, he offers us his love and mercy. Once we experience his love, we begin to realize love and see our own sinfulness. We want to be complete. His mercy brings us back to a state of love and beauty and grace.